United Nations officials, Wednesday, expressed deep concern over the rise in ongoing Israeli interference in Palestinian education. 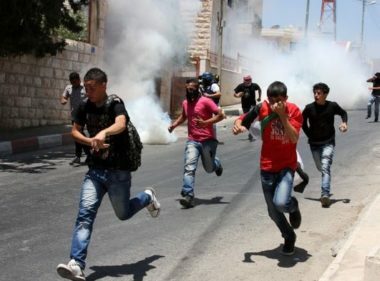 “As the second school term resumes in the State of Palestine, we remain deeply concerned by the high number of reported incidents of interference in or near schools in the West Bank since the beginning of the school year,” said the Humanitarian Coordinator, Jamie McGoldrick, UNICEF Special Representative, Genevieve Boutin, and UNESCO in a joint statement. “These incidents are impacting children’s safe access to education. Incidents of interference in schools by Israeli Forces, demolitions, threats of demolition, clashes on the way to school between students and security forces, teachers stopped at checkpoints, and the violent actions of Israeli forces and settlers on some occasions, are impacting access to a safe learning environment and the right to quality education for thousands of Palestinian children,” they said, according to WAFA. The UN officials said “schools should be respected as places of learning, safety and stability. The classroom should be a sanctuary from conflict, where children can learn and develop into active citizens.